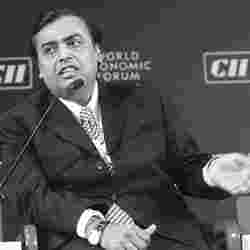 Big stakes: Reliance Industries Ltd chairman Mukesh Ambani. Oman Oil is looking to tap joint venture opportunities with RIL. New Delhi: Talks are on between Oman Oil Co. and Reliance Industries Ltd (RIL), India’s largest company by market value, and the Tata group, for joint ventures (JVs) to meet rising demand for fuels and chemicals. The JVs may be in both Oman and India, chief executive Ahmed Al Wahaibi said on Thursday. The company may raise its stake in a refinery being jointly built with India’s state-run Bharat Petroleum Corp. Ltd (BPCL). “We’re approaching India’s private sector companies for ventures because they’re growing," Wahaibi said. “We are very serious about our project with Bharat Petroleum and are in active consideration to increase our stake," he added. Wahaibi didn’t divulge details of the project planned with RIL. He said the JV with the Tata group will look at using Oman’s natural resources. RIL spokesman Tushar Pania declined to comment. Mittal acquired a 49% stake in a refinery project with Hindustan Petroleum Corp. Ltd, India’s second biggest state-run refiner. Chevron owns a 5% stake in a plant being built by Reliance Petroleum Ltd, a unit of RIL. Bharat Oman Refineries Ltd, the JV between Oman Oil and BPCL, is building a plant in Bina in Madhya Pradesh, capable of processing six million tonnes of fuels or 120,000 barrels a day, at a cost of Rs10,300 crore. BPCL’s fourth refinery will raise output by 33% once it’s ready by December 2009, to meet rising fuel demand in the world’s second fastest growing major economy. State-owned Oman Oil has a 2% stake in Bharat Oman Refineries and BPCL owns the balance. BPCL may raise Rs900 crore in a share sale to fund building the refinery. Bharat Oman may sell 22% of its stock by March 2009, R.K. Singh, BPCL’s director for refineries said on 12 October. Archana Chaudhary?in Mumbai contributed to this story.